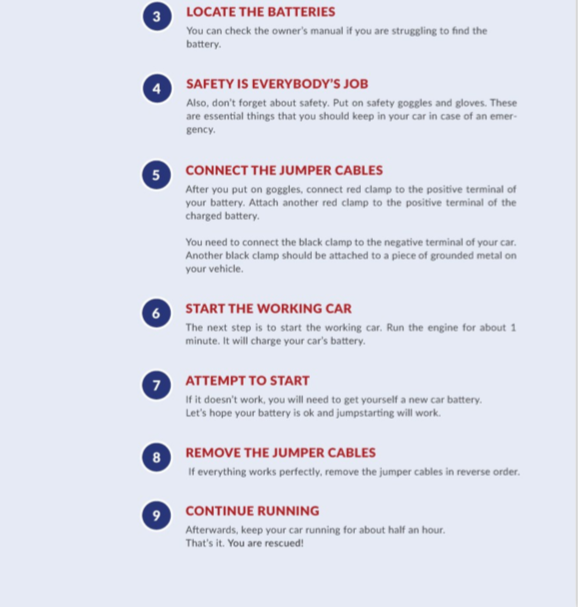 It's awful to experience when you turn your car key and it doesn't start because of a low battery. It can merely destroy your whole trip if you don't know the way to get rid of it. 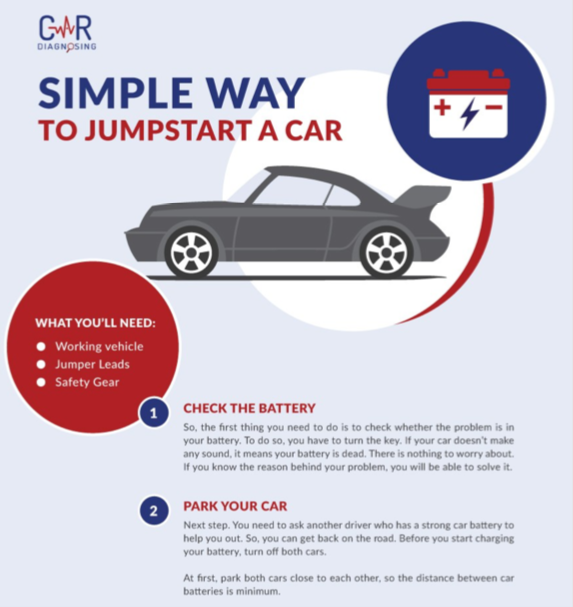 Here's the step by step guide according to CarDiagnosing for jumpstarting a car.